Toward the end of my pregnancy with Isla I got this sudden urge to reorganize the whole house and dejunk, and it hasn’t gone away! My closet has been busting at the seams for a few months so I’ve been in major need of a closet clean-out. As I started sorting through everything I was surprised to find so many items that I totally forgot I even had and that were in great condition. Today I’ve teamed up with Vestiaire Collective to sale some of my very favorite pieces that I don’t have space for anymore. Vestiaire Collective creates a unique environment where you can buy and sell luxury pre-owned fashion and all items are authenticated and checked before reaching the buyer, so there’s no counterfeits. I love that their concept is creative and their process is simple. Here are some of my personal items that are currently on Vestiaire Collective: Milly Clutch, Rebecca Minkoff Bag, Banana Republic Heels, Club Monaco Dress, and this Topshop Jacket! So if you’re looking to do your own closet clean-out and you’re wanting some extra funding for new investment pieces, click here to get started and become a seller on Vestiaire Collective! Brought to you be Vestiaire Collective. This is perfect, Vesitiare Collection sounds like something good!! 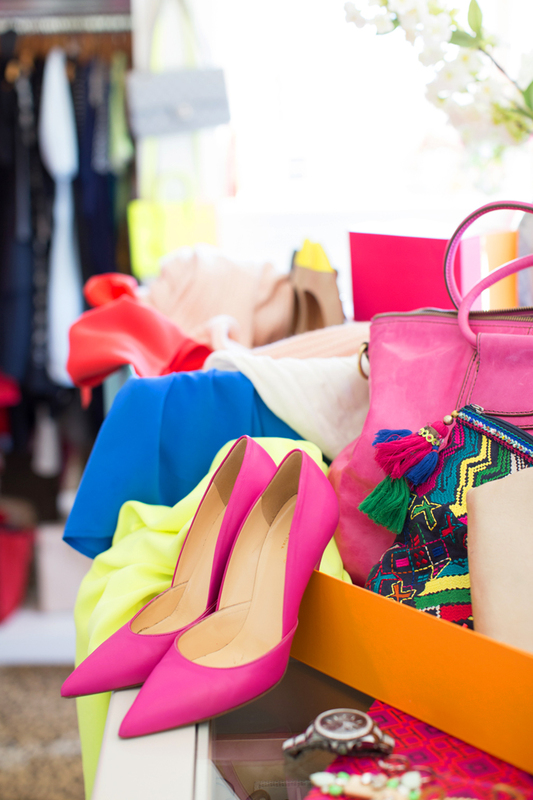 It’s better to sale your things you don’t want than throw them away! Wow, this is such a great company! Thank you so much for sharing! This is such an interesting idea to me. I read about another blogger doing something similar, except she said she used an app. You have such great clothes! What a great idea! I love that Vestiaire checks to make sure everything is authentic! i loved all your shoes! I love Vestiaire, I’ve sold a few of my designer handbags on there, so great for browsing too! This is awesome! I’ll have to check it out! OMG. Thank you for introducing me to this site! I’m shopping already! Love the idea of selling some pieces. 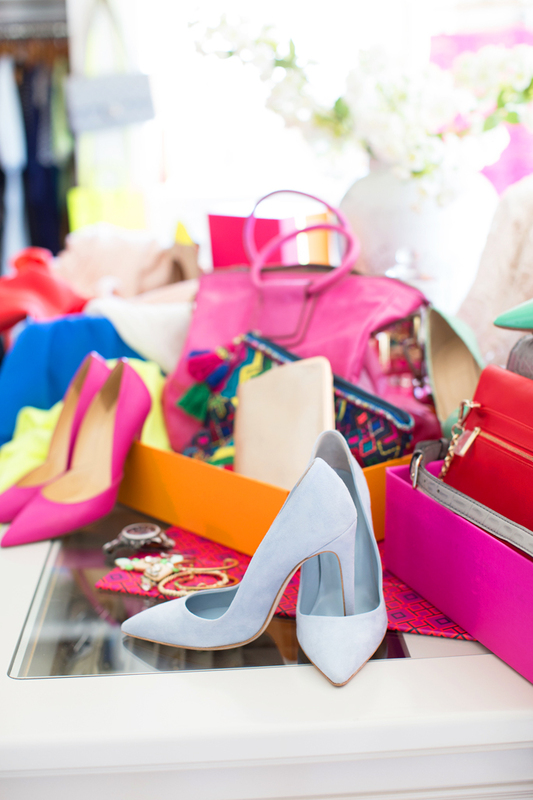 it sounds like Vestiaire makes the process really easy. Your closet is so colorful! Mine is mostly comprised of navy… I recently overhauled it and got rid of a ton of stuff to make room for new things. Cool concept!! Thanks for the info share! As you know, your closet is AWESOME!!!!! 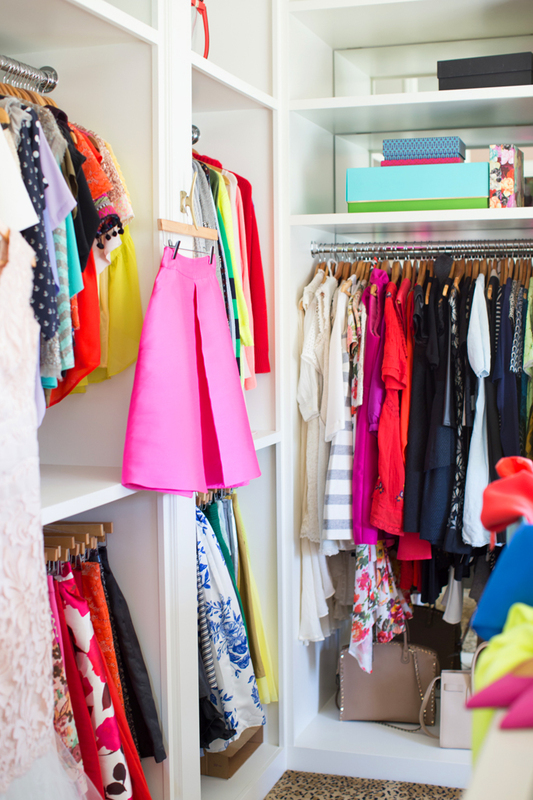 OMG your closet is actually like a dream!! When I first read the title of the post, I was like, “she can give all of what she doesn’t want to me!” I’m sure many of your other readers thought the same thing, since you have such awesome taste! This site sounds great and I look forward to other pieces that you’ll add because that Milly Clutch was gorgeous. Awesome, I’m always up for listing my stuff on another online consignment shop! There are so many things in my closet as well that are in perfect condition but I’m just sick of because I’ve worn them enough. Thanks for the suggestion! Very, very cool! I love finding new stuff like this! Can’t wait to shop it and I am most definitely in need of a clean out too! What a great idea! Always nice to find sights to sell and buy awesome items that you know are in good condition. Great concept and I love those pink and baby blue heels so I’m going to head over and see if we’re the same shoe size!! I just cleaned out my closet too! It felt so good to get rid of some stuff and make some space! Great concept! This is something I definitely need to do too. I love Vestaire Collective. Really cool concept! I absolutely love your closet! It is a goal of mine to have one like this! 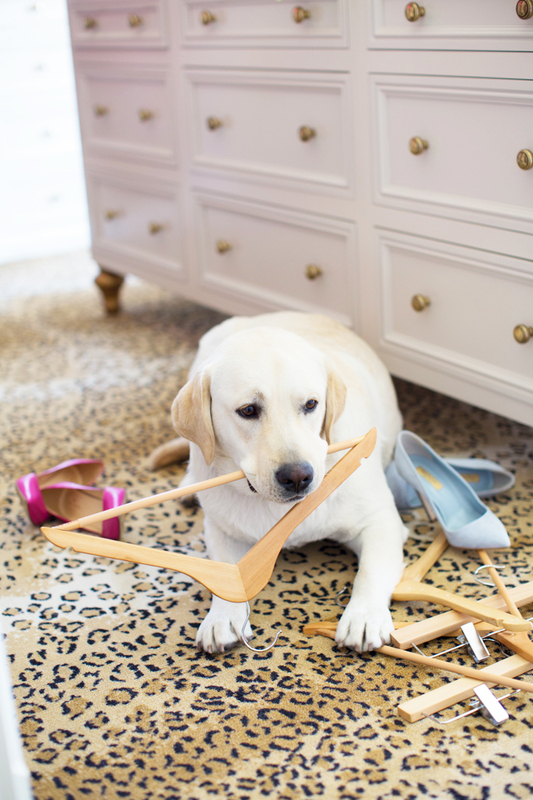 Oh… Organizing the closet can be so fun and exhausting! I always say I’m gonna take out what I don’t wear anymore but it’s so hard! The Vestiaire Collective is a great idea though. That’s such a great idea! Coming to the blog tomorrow I have fun and creative tips on how to be a fashionista without breaking the bank and closet inventory is one of them! So important! What a fabulous post! I am going to check out Vestiaire Collective right now because I have quite a few luxury items that I would love to sell. This is incredibly helpful, thank you so much! No better feeling than a clean closet! Great post! 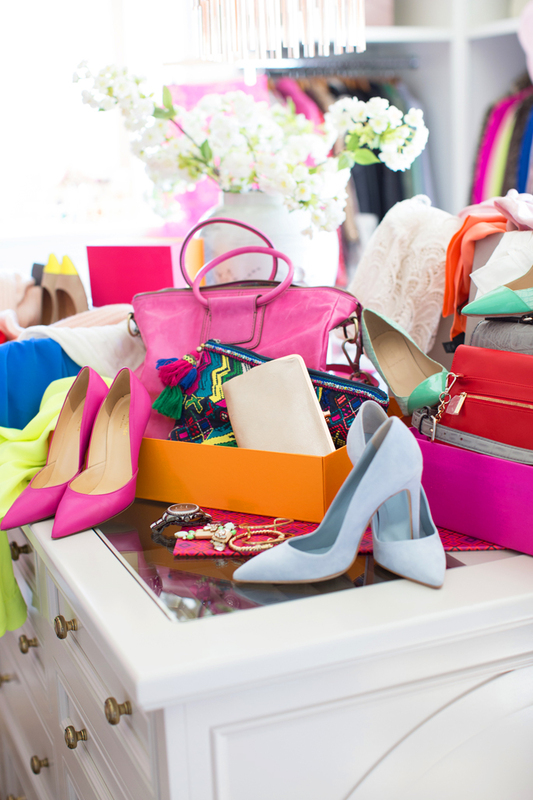 Love your style and your closet is gorgeous! Where is that hot pink skirt from?! I’ll definitely check out your pieces. I think I’m in the mood for a closet clean out as well. You look wonderful if simple white tee and ripped denim! I need to get on board with this. I’m the worst about putting everything I don’t want in a bag (some of it worth a decent amount of $$) then ultimately just dropping it off because I get too busy to sell things. I’m definitely going to check this site out, thanks for sharing! Loving the last picture! Thank you for sharing this place. I’m in a big need for closet clean up. Love it all! You make casual look so good! How do you get Dash to stay like that!?! He is the best!! I love cleaning out and reorganizing. Feels amazing after! Have a great weekend! Those light blue shoes are gorgeous! You seriously have the most gorgeous pictures! 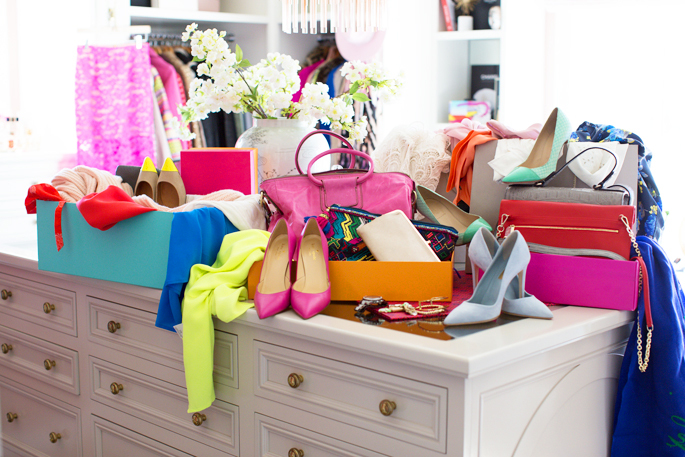 I’m in love with your closet! 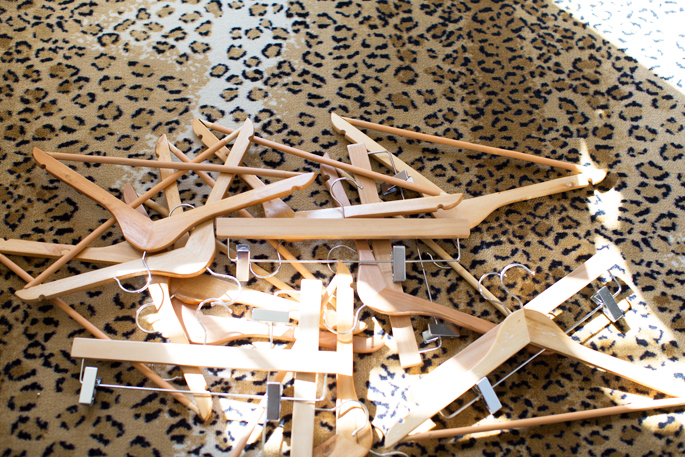 Where did you get your hangers from? What a cute dog. Think he deservs a real bone. I seriously NEED to know where to order carpet like this. We are in escrow on a new house and I want to do this in my office. This is an awesome house with good and clean surroundings. You keep your house neat and clean. It is good for you.